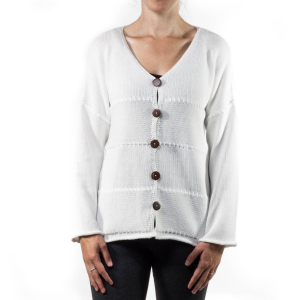 SKR0490 Lulu-B Women's 3 Button Asym Sweater A sweet little sweater with a big personality. You'll appreciate the ribbed texture and button accents that make this piece unforgettable. 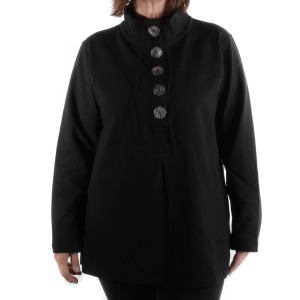 CSP7349 Lulu-B Women's 5 Button High Neck Jacket A sporty style for your on-the-go life. 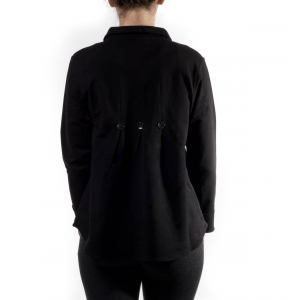 Don't let the name jacket fool you, this piece can easily be worn as a stand alone top. 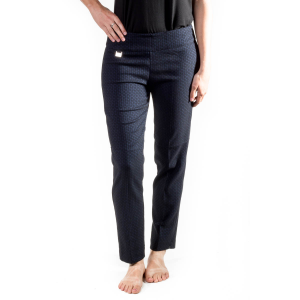 ABJ1509 Lulu-B Women's Ankle Pant A comfortable pull-on ankle pant for your busy lifestyle. CSP0691 Lulu-B Women's Back Button V-Neck Simple and sweet, with just the right amount of detail to make it special, this soft top is ideal for everyday. Whether you're heading to school or to the market, be comfortable. CSP0664 Lulu-B Women's Back Detail Top Here's an everyday top with stylish appeal. 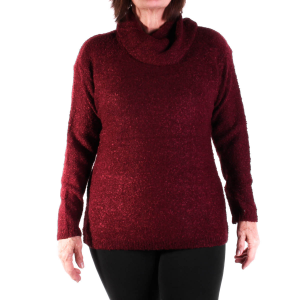 JSD0574 Lulu-B Women's Boat Neck Sweater A comfy sweater that goes from weekday work to weekend fun with ease. This top really needs to be touched to appreciate its incredible softness. SPX0615 Lulu-B Women's Boat Neck Top Lulu-B believes that clothing is an expression of your personality and an intricate part of your identity. Express yourself with this tasteful and comfy top. MTR0058 Lulu-B Women's Button Novelty Sweater Lulu-B believes that your clothing should be an expression of your identity. It should be fun, functional, colorful and most of all comfortable. You'll find all of that in this attractive sweater. SKR0675 Lulu-B Women's Cold Shoulder Tunic Show some skin while keeping your dignity. If the flirty cut-out shoulders of this fun sweater doesn't catch your eye, the silver grommets will. Done in a lightweight knit perfect for many seasons. 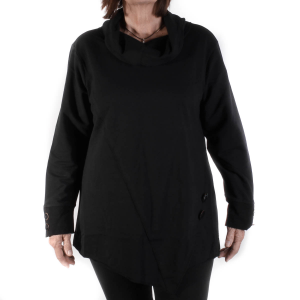 TWD0593 Lulu-B Women's Cowl Sweater We think every lady needs a reliable cowl neck sweater. You'll appreciate this comfy style that goes from work to play seamlessly. 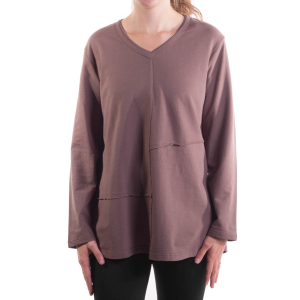 CSP0598 Lulu-B Women's Cowl Top This attractive Cowl Top is as versatile as you are. In a lightweight material that keeps overheating to a minimum. MTC0707 Lulu-B Women's Fancy Stitch Sweater This sweater has a "social" personality with a "homebody" fit. 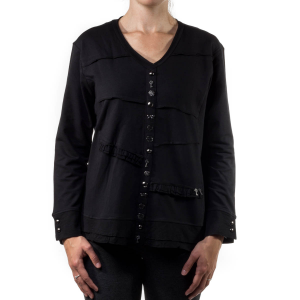 CSP7359 Lulu-B Women's Flounce Pullover A comfortable top to take you through the day. You'll love the novelty buttons and ruffles that adorn the front, giving this top a playful personality. 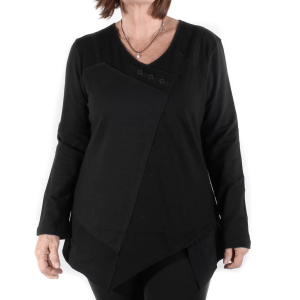 CSP0503 Lulu-B Women's Flounce Top The asymmetrical shape of this top is fun to wear. The look says special occasion, but you'll be wearing this top often for its casual comfort. 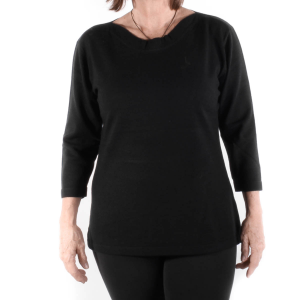 CSP0249 Lulu-B Women's Flounce V-Neck A comfy, easy wear top for your busy lifestyle. The buttons and ruffle give it a flirty personality that wants to be seen.